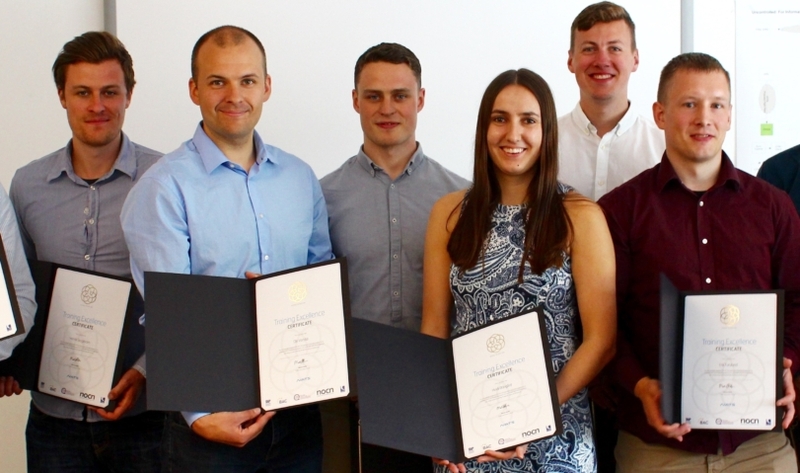 Norway’s best and brightest future air traffic controllers have graduated from the specialist NATS training college in Fareham. The student controllers have spent the last nine months being put through their paces by NATS’ specialist instructors preparing them for handling real aircraft. The course took them through all the key aspects of air traffic management, including aerodrome, approach and area control training using NATS’ state-of-the-art simulators. Having passed the initial course at NATS they will now return to Norway to complete their in-country training and final validations before becoming fully fledged controllers. The Avinor students with their certificates. Last year NATS won a multi-year contract with the Norwegian air navigation service provider, Avinor to train its future controllers, with the first group arriving in September. Recruitment for UK air traffic controllers is currently open and applications can be made on the NATS website.